Fantastico cd. Fantastico Elvis come sempre. Fantastico lp nel 1956. Fantastico cd nel 2017. Grazie Elvis fantastica voce, fantastico singer, amico mio da sempre. I loved the CD and the new renditions of these tunes, especially the gospel songs. My wife loved it also. It was a Christmas gift for her. Her favorite tune is Blue Christmas. This is a strange review. I happened to hear a lost song of Elvis called "One Pair of Hands", I absolutely fell in love wuith it but cannot find it anywhere. If anyone can tell me how to purchase this song, I will be eternally greatful. Thanks. I absolutely love this CD, love all the Christmas songs but also love love the bonus religious songs on this CD. I have been playing this CD every day since I received it. LOVE ELVIS no other like him! 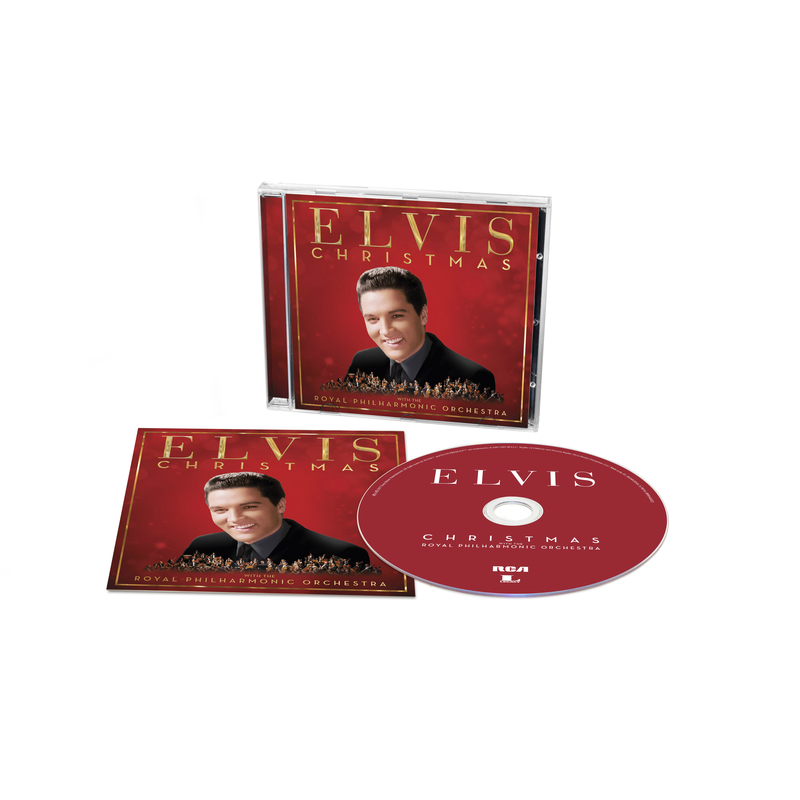 ELVIS CHRISTMAS on L.P. is a very good sound.On c.d. the most beautiful is I BELEIVE WOW unbeleivable version.The calendar is very beautiful.thanks. Can't beat an Elvis album! This one is fantastic! It arrived on schedule and I have been playing it non-stop wi his others! Really getting in th Christmas Spirit!?????? This is a wonderful CD. I love the songs and of course the voice of Elvis. The background music just made Elvis sound even better, if that is possible. I've always loved Elvis and I always will. His version of "Blue Christmas is the best. Everyone should have this CD. The price was good and I pre-ordered it and it came when I was promised it would be here. I was excited to get this deluxe version of Christmas and bonus religious songs all including the Royal Philharmonic. In fact, I hope EPE do a Royal Philharmonic Elvis gospel CD. Peace In The Valley is lovely as are the rest of the songs. Great listening material from the KING during the Christmas season! Just listened to the Elvis Christmas deluxe CD! Sounds great! Although, I felt like the other CDs sounded slightly better. None the less, it is a great Christmas cd!!! Both Elvis and the Royal Philharmonic Orchestra combine again (3 tines now) for a new interpretation of already famous music. Elvis at his best and made better. Rush to get this CD. Absolutely fabulous. Please do a Gospel version next. It is hard to believe how different these songs sound unless you hear them this way. The king is back in the building!!!! Love this C D. I am 81 years old and will love Elvis forever! Perhaps being an Elvis fan for over 30 years has made me a bit biased as I prefer the original recordings of the songs included on this CD a lot more. I wasnt expecting these updated songs to be better of course, but in my opinion, they were a little lack luster. I gave it 4 stars only because, well its still Elvis! This cd is amazing. The purity of Elvis's voice with the orchestra is awesome. I have listed to it everyday since receiving it.